Department of Biotechnology 1, Techno India University, EM- 4, Salt Lake, Sector- V, Kolkata - 700091, West Bengal, India. Cancer Biology and Inflammatory Disorder Division 2, Indian Institute of Chemical Biology, 4, Raja S C Mallick Road, Jadavpur, Kolkata - 700032, West Bengal, India. ABSTRACT: Herbal treatment used in healthcare system from ancient time. Plants had been used by all cultures, ethnic group and society throughout history in the whole world. Plants are the potential source of secondary metabolites which have high medicinal value and huge utility in healthcare development. Herbal medicines are now in huge prospects in the developing and developed nation for basic health treatment. It is inexpensive and has minimal side effects. Cleome rutidosperma DC (Family-Cleomaceae) is an annual herbaceous plant, and it is commonly known as Fringed Spider Flower. Cleome rutidosperma is not only a weed, but it is an important medicinal plant, too. This review deals with phytochemical, morphological, taxonomical and other important biological aspects of Cleome rutidosperma. Literature survey indicated that this medicinal plant is available in tropical parts of India has various reported biological activities like analgesic, anti-pyretic, anti-inflammatory, locomotory effect, wound healing property, anti-microbial, anti-oxidant, anti-convulsant, anti-diabetic, diuretic and laxative activity etc. The review was done to find out morphological, physicochemical and phytochemical screening of Cleome rutidosperma plant parts. This review can be helpful for identification and preparation of monograph of the plant. INTRODUCTION: Cleome rutidosperma is commonly known as Fringed Spider Flower Fig. 1. It is a common annual low growing weed attaining up to 100 cm tall. It is found in waste grounds, humid or grassy places with trifoliate leaves and small blue, violet with whitish patches flower, which turns pink as they age. The elongated capsules display the asymmetrical, dull black seeds 1. In West Bengal, it is known as Nil Hurhure or Beguni Hurhure 2. Cleome rutidosperma belongs to the family of Cleomaceae and native to Tropical Africa. It has been introduced and now naturalized in different regions of Asia, Australia, America and West Indies 3, 4, 5, 6. Cleome rutidosperma is occurring from Guinea, Nigeria, Cameroons, Zaire, and Angola. The plant is introduced in West Bengal, and it is not a native plant of this state. It is found in many parts of India and locally known as ‘Hurhur’ 7, 8. In Malaysia pollen of Cleome rutidosperma was found in honey. In Malaysia, planting of Cleome rutidosperma around field edges may be considered as part of an insect control program 9, diverting oviposition of diamondback moth (Plutella xylostella) away from the cultivated plants 10. FIG. 1: PLANT CLEOME RUTIDOSPERMA DC. Ethnomedicinal Uses: Ayurveda, Siddha, Yunani medical practitioners and localized or rural kabiraj used the different parts of Cleome rutidosperma as leaves, roots, and seeds for anti-convulsant, anti-inflammatory, anti-stimulant, anti-scorbutic, rube-facient, anti-diarrheal, vesicant and carminative, etc. disease purposes. The anti-oxidant, anti-plasmodial, analgesic, locomotory, anti-microbial, diuretic, laxative, anthelmintic and anti-diabetic activity of the certain extracts of the plant has already been reported 5, 6, 11. The anti-plasmodial activity of the Cleome rutidosperma was shown from chloroform-methanol (1:1) extract of the leaves 12. Different parts of the plant showed anti-pyretic, diuretic, laxative, anti-microbial, analgesic, anti-inflammatory, anti-oxidant, and free radical scavenging activities in different solvent extracts. The roots of the Cleome rutidosperma are also important from the medicinal point of view. The roots were reported to have a hypoglycemic effect and anthelmintic activity 13, 14. In African countries, it is occurring as a weed and is less well known about for its medicinal properties 10. The leaves of Cleome rutidosperma are eaten as a cooked vegetable or added to soup 1, 9, 15. They have a bitter taste like mustard and in Uganda clarified butter (ghee) is sometimes added to give it more flavors. It is occasionally taken as a pot herb. Leaf sap is applied in Ghana, Gabon, and DR Congo to cure an earache, ear-inflammation and deafness 3, 4. In Zaire, Cleome rutidosperma is used for deafness also. In Ghana and by the Igbos of South Nigeria a leafy-extract is used to treat irritated skin, prickly heat etc. and in Nigeria, it is used to treat convulsions also 11. It is used as a vegetable of local needs in different parts of the world. Its phytochemical, proximate, nutritional and medicinal effects need much more attention and research for future uses in phytomedicine. It has almost similar medicinal uses like Cleome gynandra Linn. and with this species, Cleome rutidosperma is confused in many times by the non-botanists 1, 15. Botanical Description: Fringed Spider Flower Fig. 2A is an erect, annual herb up to 100 cm tall branched from the base. The plant has angular stems or finely pubescent or glandular pubescent, green-purplish. Leaves Fig. 2A alternate, tri-foliolate. Petiole up to 7 cm long on the stalk. Each leaflet is somewhat diamond-shaped and elliptical, 1-6cm × 0.5-2.5cm, glabrous to sparsely pubescent. Inflorescence pattern is racemose. Small blue, violet with whitish patches flower, which turns pink as they age. Bisexual, regular, pedicel up to 3.5 cm long in fruit. Sepals are linear or lanceolate. Petals lanceolate, white or pinkish. Stamens 6, ovary superior, cylindrical, single-celled. Fruit cylindrical, capsule 3-6 cm × 3-4 mm. Seeds globular-reniform, orange- brown-black. The elongated capsules Fig. 2B displays the asymmetrical, dull black seeds Fig. 2C 16, 17. Habitat: Cleome rutidosperma grows at low altitudes in ruderal, humid, hot conditions with temperature ranges from 21 - 24 °C. It grows up to 400 m altitude and areas with an annual rainfall of 1500 - 3000 mm. Sometimes it is present with the other species of the same genus like Cleome viscosa in various types of habitat as water margins, swamps, coastal sands and forests, cultivated fields, lawn, roadsides Fig. 3 and waste ground or disturbed areas. Cleome rutidosperma is intolerant of cold, frosts and drought. Plants die after 2 days of temperature below freezing 16, 17, 18. Botanical Name: Cleome rutidosperma DC. Cleome is a genus in the family of Cleomaceae, and it is under the order of Brassicales. Previously the genus Cleome was under the family of Capparaceae. But according to recent DNA studies this genus is placed in the family Cleomaceae, and it is more closely related to Brassicaceae than Capparaceae. Cleomaceae is a family of plants that includes 10 genera and about 300 species distributed in tropical and warm temperate regions. In the CAB Thesaurus, the genus Cleome is still listed in the Capparaceae family. Though APG III systems of classification placed Cleomaceae family to the order Brassicales. The taxonomic tree shows the APG III systems of classification. B & H system of classification placed Cleome genus in family Capparidaceae and order Parieatales. CAB Theasaurus continues to use the Cronquist system 19. Comparison with Other Species: In maximum African countries it may be difficult to distinguish between Cleome rutidosperma and Cleome iberidella. Cleome iberidella has narrower leaves and pubescent fruit. It is also confused with Cleome viscosa and Cleome gynandra. Cleome viscosa probably originated in Asia. It differs from Cleome rutidosperma in morphological features. Cleome viscosa is having a viscid and stinking indumentum, yellow flowers and more than eight stamens. C. gynandra is also widely distributed in tropical regions of the world and primitive native to Africa and Asia. The main characteristic that distinguishes Cleome gynandra from Cleome rutidosperma is the insertion of the stamens 20. Phytochemistry: Fresh leaves of Cleome rutidosperma plant contains per 100 g of edible portion: water 81.0 g, energy 239 kJ (57 kcal), protein 5.5 g, fat 0.9 g, carbohydrate 10.1 g, Fiber 1.7 g, Ca 454 mg, Mg 38 mg, P 59 mg and Fe 2.7 mg 21. Pharmaphytochemical studies of Cleome rutidosperma showed the presence of tannins, lipids, amino acids, flavonoids, cardiac glycosides, alkaloids, steroids, saponins, terpenoids, poly-phenols, phlobatannins, pentose and reducing sugars, etc. Though, there are many controversial reports regarding the presence and absence of alkaloids in this species of Cleome. From a study, it is found that among ten medicinal plants which were analyzed, this weed showed the lowest amount of alkaloids (0.32%) and the highest amount of tannin (15.25%) presence. Among minerals Na and Zn also present in the seed. From various research studies result suggest Cleome rutidosperma is a potential source of human food or incorporation into livestock feed. Phytoconstituents like terpenoids, saponins, flavonoids and phenolic compounds are main components for anti-microbial, anti-oxidant, diuretic and laxative effects of the ethanolic, aqueous extract and its fractions of this plant. The various chemical experiment of this plant was carried out, and several groups of phytochemical compounds were isolated from this plant. Ghosh et al., (2018) analyzed the plant pigments of Cleome rutidosperma along with other medicinal plants. The research study showed that the highest amount of total carotenoids concentration was found in this plant among the other experimental herbaceous plants. Though other two research studies showed that these plant pigments (chlorophyll-a, chlorophyll-b, total chlorophyll, and total carotenoids) might vary with the major environmental factors like air pollution and it may vary with seasonal changes 2, 6, 15, 22, 23, 24, 25. History of Introduction: There is different school of thoughts and controversy about the history of the introduction of Cleome rutidosperma. There is a high probability that Cleome rutidosperma was introduced accidentally as a contaminant or as a weed in the nursery materials and substances. In Australia, it was discovered in August 2000, near to Darwin's Fort Hill. After three months following a public awareness campaign, Cleome rutidosperma was discovered at another four sites in Australia. This plant species estimated to have been present approximately 10 years before their discovery. By 2001 it was known to be present at sixteen sites at Darwin’s Fort Hill. In the West Indies, herbarium collections showed that this species was first collected in Jamaica in 1903. The risk of introduction of Cleome rutidosperma is moderate to high 26, 27. Genetics: There are some studies on the chromosome numbers of Cleome. Askell (1976) studied cytology of some members of Cappari-daceae. He reported chromosome numbers in Cleome rutidosperma DC. n = 15. C. rutidosperma has a diploid chromosome number of 2n = 30, and mitotic cell division occurs. It is widespread and is not in danger of genetic erosion 28, 29. Physiology and Phenology: Cleome rutidosperma is an annual plant reproducing solely by seeds. In Africa, flowering and fruiting plants can be found throughout the year, although most abundantly in the rainy season 10. In China, its flowering and fruiting season is from June to September 30. In North America, its flower and fruiting season are from almost throughout the year 31. Laboratory germination studies showed that maximum germination happens at 30 °C (23%), and no seed germination occurred at 20 and 40 °C. Seeds were unable to germinate at soil depths more than 5 cm. Gibberellic acid, auxin, and potassium nitrate increased growth and germination of Cleome rutidosperma 32. Environmental Impact: Cleome rutidosperma is a weed in disturbed ground, roadsides, lawn, humid, ruderal and waste places, as well as in natural and semi-natural coastal forest 17, 33. Economic Impact: Cleome rutidosperma has economic impacts in a wide range of crops. Maximum growth of the weed in the sugarcane field has direct effects on yields in the Philippines and its effects observed in different durations 34. After planting Cleome rutidosperma had no adverse effects on yields in first one month. After two months the yields were reduced by 15% and completion of whole season it resulted in a yield reduction of 55%. Cleome rutidosperma is an alternative host to nematodes like Meloidogyne javanica and Meloidogyne incognita 35. Natural Enemies: Larvae of Hellula undalis (Lepidoptera: Pyralidae) was found in cabbage crops and Cleome rutidosperma. The parasitic nematodes Meloidogyne javanica and Meloidogyne incognita also was found in vegetable crops, weeds and in Cleome rutidosperma. Under controlled conditions, the parasite Rotylenchulus reniformis (Nematoda) was found in Cleome rutidosperma. The above-mentioned natural enemies of Cleome rutidosperma are also present in the crops and vegetables, making them ineffective in the total biological control of this specific weed or medicinal plant. This weed is an alternative host to nematodes including Meloidogyne javanica and Meloidogyne incognita. In a case study in the Philippines, this weed has enabled the survival of nematodes during the rice planting season 32, 36. Movement and Dispersal: The pollen or seeds of this plant species easily dispersed by animals, water and machinery associated with human activities. The plant has the potentiality to grow like a weed in ruderal, humid, disturb or waste places, crop fields and gardens. Cleome rutidosperma is listed as a weed in agricultural and horticultural land in Asia, Australia and the Caribbean islands and it has the potentiality to spread much faster rate 23. Seed dispersal is myrmecochorous and ants are attracted to the seeds by the fatty elaiosome. Wind, gravity, water can disperse seeds, and as a contaminant in farm machinery, farm produce, and soil 26. 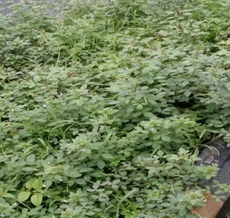 Cultural Control: In maize crops in the Philippines, integrated cultural control techniques coupled with the application of herbicides to control Cleome rutidosperma. Similar techniques recommended in cotton as well. In Nigeria and few other African countries, four weekly hands-on weeding for the first 8-12 weeks after sowing of white yam crops in different regions of that particular country for observing various effects 28, 37, 38, 39. Chemical Control: In Malaysia, some scientists controlled Cleome rutidosperma in cover crops (Pueraria phaseoloides, Centrosema pubescens, Calopogonium caeruleum and Mucuna pruriens) using neburon and napropamide. In the case of oil palm 75% control obtained with this plant using glyphosate and dicamba, whereas only 25% control obtained using paraquat and diuron. In the Philippines, this weed was controlled in Vigna radiata by an application of bentazon. In case of Glycine max control was achieved with oxadiazon, but this specific herbicide highly injured the crop. Pamplona (1981) successfully used glyphosate and glufosinate to achieve control within 30 days in stands of two-year-old rubber plants. Some other control occurred with the applications of atrazine, cyanazine and 2, 4-D and MCPA for this weed in maize crops in Philippines 40, 41, 42. Anti-pyretic and Anti-inflammatory: Bose et al., (2007) have studied on ethanolic extract and showed significant anti-inflammatory and anti-pyretic activity of Cleome rutidosperma. Study of methanolic extracts of roots of this plant showed analgesic, anti-pyretic and anti-inflammatory activity 43. Analgesic and Locomotory Effect: Methanol, chloroform, and petroleum ether crude extracts of Cleome rutidosperma showed significant analgesic and depressed locomotory activity compared to control treatment with morphine treatment, aspirin and chlorpromazine 44. Anti-convulsant Activity: It could be concluded that the plant Cleome rutidosperma having anti-convulsant activity and better result is obtaining from an extract of diethyl ether. The extract used for this purposes was ethanol, petroleum ether, ethyl acetate, and n-butanol also. A detail research investigation is necessary to determine the phytochemical constituents present in the crude extracts of this herb which claims to produce the anti-convulsant activity 45. Diuretic, Anti-microbial, & Laxative Property: Study of crude aqueous extract showed Cleome rutidosperma possesses diuretic and anti-microbial properties against different gram-positive and gram-negative bacterial strains. Best results showed in diethyl ether fractions. Research investigations of this plant showed significant dose-dependent laxative effect 7, 13, 46. Wound Healing Property: Methanolic and aqueous extract of Cleome rutidosperma roots were found to possess better wound-healing property over other extracts which was used in the research study 47. Anti-oxidant Activity: The whole plant Cleome rutidosperma showed that it contains some bioactive compounds that possess strong anti-oxidant activity along with strong anti-inflammatory, analgesic, and moderate central nervous system depressant activity. Water and ethanolic extracts showed high anti-oxidant activity. Ethanolic extracts showed more activity than water extracts 4, 14. Anti-diabetic Activity: Recently, Okoro et al., (2014-15) have shown its anti-diabetic activity in an animal model and identify the potent anti-hyperglycemic fraction from the aqueous extract, using bioassay-guided fractionation. The fractions of Cleome rutidosperma showed significant anti-diabetic activities with minimal toxicity when gave orally. Still, a very little report has been published about its anti-diabetic mechanisms 48, 49. Anti-arthritic Activity: Chakraborty et al., 2010 have studied on ethanolic extract of Cleome rutidosperma, and showed significant anti-arthritic activity 3. Anti-plasmodial or Anti-malarial Activity: Bose et al., 2010 studied on the antiplasmodial activity of the Cleome rutidosperma on chloroform-methanol (1:1) extract of the leaves and showed significant anti-plasmodial activity in in-vitro mode. The diethyl ether fraction also showed antiplasmodial activity. The study evaluated an ethanolic extract of this plant for in-vitro activity against the strain of Plasmodium falciparum. Research revealed that activity might be due to the presence of terpenoids or flavonoids 50, 51. Anti- neuro- inflammatory Activity: Study determined the anti-neuroinflammatory activities of ethanolic extracts of Cleome rutidosperma using LPS-stimulated microglial cell line BV2. Research investigation showed that this plant has anti-inflammatory activities by inhibiting pro-inflammatory mediator expression and production, upregulating HO-1, GCLM and NQO1, blocking NF-kN and modulating JNK signaling pathways 52. Antinociceptive Activity: Research investigation determined antinociceptive activities of methanolic extract from Cleome rutidosperma using thermal (hot plate test and tail flick test) and chemical (formalin-induced licking test and writhing test by acetic acid) procedures in animal models. A research study found the analgesic effect of ethanolic extract of this plant leaves by Eddy's hot plate and Formalin test procedures. The study evaluated the significant decrease in paw licking and paw jumping response in Swiss albino mice 53, 54. Immune Boosting or Synergism with Costus afer: Research study showed the effect of combined ethanol extract (leaves) of Costus afer and Cleome rutidosperma on hematological and serum lipid parameters. The study showed the combined leaf extract might be used in boosting the immune system and effects on serum cholesterol concentration also observed 55. Bioenhancing Activity: Investigation found that ethyl acetate extract of Cleome rutidosperma has bio-enhancing and anti-microbial activities against isolated MDR strains 56. Anti-depressant Activity: Using open field, whole cross, and thiopental sodium-induced sleeping time tests to research study of Cleome rutidosperma extract in animal models showed significant CNS depressant activity 57. Anti-cancer Activity: Research study showed that methanolic extracts of Cleome rutidosperma exhibited significant anti-cancer activities 58. Toxicity Studies: Research investigation showed that the safety profile of ethanolic extract of Cleome rutidosperma aerial parts by acute and sub-chronic toxicity evaluations in female Sprague-Dawley rats. An administered dose of 2000 mg/kg b.w. was applied as a single dose by orally. A single dose of 400 mg/kg b.w. was administered daily for 28 days. No toxicity was observed at the levels administered. The LD50 of the water extract is >2000 mg/kg b.w 59. Cleome rutidosperma is a medicinal weed distributed in the tropical and sub-tropical regions of the world. It has various phytochemical and nutrient compounds. It is widely used in ethnomedicine in different parts of the world. It is used for different biological aspects. It has shown various bioactivities in different research investigations. CONCLUSION: Cleome rutidosperma DC. has a great potentiality for phytochemical, pharma-cological and nutritional activities. From the explanation above, it is noticeable that Cleome rutidosperma DC. has been used as an important curative agent for various diseases in different parts of the world, as discussed in the review. The review cited the various uses, morphological, taxonomical and other important biological or biochemical aspects of Cleome rutidosperma DC. The review found the loopholes or lacunae for future work. ACKNOWLEDGEMENT: The authors are thankful to Chancellor, Techno India University, and West Bengal for providing the necessary support to do the review. The authors are also grateful to Dr. Madhusudan Mandal, Former Additional Director, Botanical Survey of India, and Kolkata for identifying plants and valuable taxonomical inputs. The authors are obliged to Prof. Suprodip Mondal, School of Pharmacy, and Techno India University for his excellent support in this review work. Khuntia A, Mohanty SK and Bose A: Pharmacognostical and preliminary phytochemical investigation of Cleome rutidosperma aerial parts. 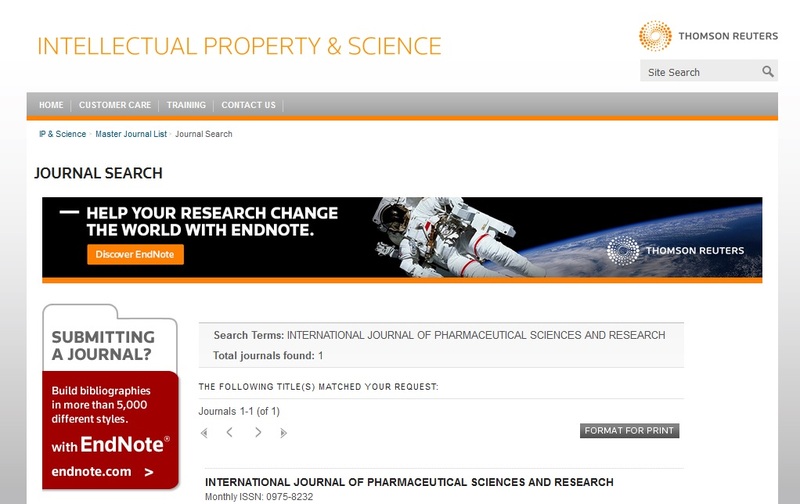 International Journal of Research in Pharmacy and Science 2013; 3(3): 67-77. Mizanur RSM, Munira S and Hossain AM: Phytochemical study of the aerial parts of Cleome rutidosperma Plant. Indo J Chem 2008; 8(3): 459-462. Chakraborty AK and Roy HK: Evaluation of anti-arthritic activity of ethanolic extract of Cleome rutidosperma. Journal of Pharmaceutical Science and Technology 2010; 2(10): 330-332. Chakraborty AK, Charde MS, Roy H, Bhanja S and Behera M: Comparative study of antioxidant activity between ethanolic and aqueous extract of Cleome rutidosperma. International Journal of Pharmaceutical Sciences and Research 2010; 1(11): 112-116. Waterhouse B and Mitchell A: Northern Australia Quarantine Strategy Weeds Target List. AQIS Miscellaneous Publication, Canberra 1998: 29. Pillai LS and Nair BR: Pharmacognostical standardization and phytochemical studies in Cleome viscosa and Cleome burmanii W. & A. (Cleomaceae). Journal of Pharmacy & Research 2012; 5(2): 1231-1235. Bose A, Gupta JK and Ghosh T: Antimicrobial activity of certain extracts of Cleome rutidosperma. Indian J Nat Prod 2005; 21: 39-41. Burkill HM: The useful plants of West Tropical Africa. Families S-Z, Addenda, Royal Botanic Gardens, Kew, Richmond, United Kingdom 2004; 5(2): 686. Grubben GJH and Denton OA: Wageningen, Netherlands. Plant Resources of Tropical Africa. PROTA 2014. Kirtikar KR, Basu BD and Basu LM: Indian Medicinal Plants. Dehradun 1991: 181. Bidla G, Titanji VPK, Joko B, El-Ghazali G, Bolad A and Berzins K: Antiplasmodial activity of seven plants used in African folk medicine. Indian J Pharmacol 2004; 36(4): 245-6. Bose A, Mondal S, Gupta JK, Dash GK, Ghosh T and Si S: Studies on diuretic and laxative activity of ethanol extract and its fractions of Cleome rutidosperma aerial parts. Pharmacognosy Magazine 2006; 2(7): 178-82. Bose A, Mondal S and Gupta JK: Antioxidant and free radical scavenging activities of Cleome rutidosperma. Oriental Pharm Exp Med 2008; 8: 135-45. Edeoga HO, Okwu DE and Mbaebie BO: Phytochemical constituents of some Nigerian medicinal plants. African Journal of Biotechnology 2005; 4(7): 685-688. Ghosh P, Das P, Das C, Mahapatra S and Chatterjee S: Morphological characteristics and Phyto-pharmacological detailing of Hatishur (Heliotropium indicum): A concise review. Journal of Pharmacognosy and Phyto-chemistry 2018; 7(5): 1900-1907. Okonwu K, Ekeke and Mensah SI: Micromorphological and phytochemical studies on Cleome rutidosperma J of Advan in Biol & Biotechn 2017; 11(3): 2394-1081. 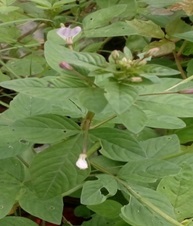 Joshi T, Kumar N and Kothiyal P: A review on Cleome viscose: An endogenous herb of Uttarakhand. International Journal of Pharma Research and Review 2015; 4(7): 25-31. Stevens PF: Angiosperm Phylogen 2012. Leung WTW, Busson F and Jardin C: Food composition table for use in Africa, FAO, Rome, Italy 1968: 306. Mukherjee PK: In Quality control herbal drugs. Business Horizon Pharmaceutical Publisher New Delhi 2002: 246. Ghosh P, Das P, Mukherjee R, Banik S, Karmakar S and Chatterjee S: Extraction and quantification of pigments from Indian Traditional medicinal plants: A comparative study between tree, shrub and International Journal of Pharmaceutical Sciences and Research 2018; 9(7): 3052-3059. Mukherjee S, Chowdhury S, Ghosh P, Chatterjee S and Bhattacharya M: Air Pollution has deep impact on plant pigments: A comparative study on differentially polluted areas of West Bengal. Pollution Research 2018; 37(3): 690-693. Banik S, Mukherjee R, Ghosh P, Karmakar S and Chatterjee S: Estimation of plant pigments concentration from tulsi (Ocimum sanctum): a six months study. Journal of Pharmacognosy and Phytochemistry 2018; 7(4): 2681-2684. Mitchell A and Schmid M: Case history of the eradication of fringed spider flower, Cleome rutidosperma 13th Australian Weeds Conference: weeds “threats now and forever? 2002. Schmid M: Fringed spider flower: (Cleome rutidosperma). Ag note-Northern Territory of Australia 2001; 799: 3. Zapata RT: Cleome rutidosperma (Capparidaceace). A new entry in the flora of Venezuela. Ernstia 1989; 56(19): 19-22. Flora of China Editorial Committee: Flora of China, Massachusetts, USA, Missouri Botanical Garden and Harvard University 2014. USDA-NRCS: The Plants Database, Baton Rouge, USA. National Plant Data 2014. Fantastico EBB and Mercado BL: Dormancy and germination of Cleome rutidosperma Philippine Agriculturist 1985; 68(1): 130-138. Randall RP: A global compendium of weeds. Perth, Australia, Department of Agriculture and Food Western Australia 2012: 1124. Punzalan FL and Cruz E: Effect of duration of weed competition and weed control in sugarcane (Saccharum officinarum). Philippine Journal of Weed Science 1981; 8: 15-18. Mamaril EC and Alberto RT: Root-knot nematodes infecting some common weeds in vegetable growing areas of Sicsican. International Nematology Network Newsletter 1989; 6(3): 37-39. Sivapragasam A and Chua TH: Natural enemies for the cabbage webworm. Hellula undalis (Fabr.) (Lepidoptera: Pyralidae) in Malaysia. Researches on Population Ecology 1997; 39(1): 3-10. Pamplona PP: Weed control management in corn in the Philippines. Proceedings of the third Asian regional maize workshop. Mexico CIMMYT 1988; 3: 148-159. Paller EC and Lijauco EB: Weeds and weed control studies in cotton. Weed Science Society of the Philippines Newsletter 1981; 9(2): 6. Unamma RPA and Melifonwu AA: Crital period for weed removal in seed yam production from minisetts. Nigerian Journal of Weed Science 1988; 1(1): 11-15. Madrid MTJ and Manimtim MB: Weed control in mung bean (Vigna radiata). Weed Science Report 1976-77. College of Agriculture, University of the Philippines at Los Banos 1978: 43-49. Madrid MTJ and Manimtim MB: Weed control in soybean. Weed Science Report 1976-77, College of Agriculture, University of the Philippines at Los Banos 1978: 50-57. Pamplona PP: Evaluation of glyphosate, paraquat and Hoe 39866 for weed control in rubber and African oil palm. SMARC Monitor 1981; 2(4): 8. Bose A, Mondal S, Gupta JK, Ghosh T, Dash GK and Si S: Analgesic, anti-inflammatory and anti-pyretic activities of the ethanolic extract and its fractions of Cleome rutidosperma. Fitoterapia 2007; 78(7-8): 515-520. Bose A, Saravanan VS and Karunanidhi N: Analgesic and locomotor activity of extracts of Cleome rutidosperma Indian J Pharm Sci 2004; 66: 795-7. Jena PK, Das D and Nayak BS: Anti-convulsant activity of Cleome rutidosperma in strychnine induced tonic convulsion in mice. Journal of Pharmaceutical Research 2009; 8(1): 49-51. Bose A, Gupta JK, Dash GK, Ghosh T and Si S: Diuretic and antibacterial activity of aqueous extract of Cleome rutidosperma Ind J Pharm Sci 2007; 69(2): 292. Mondal S and Suresh P: Wound healing activity of Cleome rutidosperma Roots. 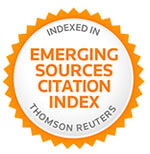 International Current Pharma-ceutical Journal 2012; 1(6): 151-154. Okoro IO, Umar IA, Atawodi SE and Anigo KM: Anti-diabetic effect of Cleome rutidosperma and Senecio biafrae (Oliv. & Hiern) extracts in streptozotocin-induced diabetic rats. Int J Pharm Sci Res 2014; 5(6): 2480-97. Okoro IO, Umar IA, Atawodi SE and Anigo KM: Bioassay-guided evaluation of the antidiabetic activity of Cleome rutidosperma International Journal of Pharmacy and Pharmaceutical Sciences 2015; 7(1): 198-202. Bose A, Smith PJ and Lategan CA: Studies on in-vitro antiplasmodial activity of Cleome rutidosperma. Acta Polanica Pharm-Drug Res 2010; 67: 315-8. Ding H-Y, Wu P-S and Wu M-J: Cleome rutidosperma and Euphorbia thymifolia suppress inﬂammatory response via upregulation of phase ii enzymes and modulation of NF-κB and JNK activation in LPS-Stimulated BV2 Microglia. International Journal of Molecular Sciences 2016; 17: 1420. Prawej A, Debnath M, Ahmad MF, Azam S, Akther S, Gazi MM, Naquib MH and Sarwar S: Evaluation of antinociceptive activity of methanol extract from Cleome rutidosperma in Mice. Chinese Herbal Medicines 2016; 8(3): 273-279. Julien JF, Lyza MF, Eugine J, Arvel R, Melanie T and Angelita AR: Determination of the analgesic property of Cleome rutidosperma (Seru Wali) syrup of crude leaves extract in Mus musculus (Swiss albino Mice) 2014; Our Lady of Fatima University, Herdin Record, NCR- OLFU-14050213542132. Arhoghro EM, Berezi EP and Prohp TP: Phytochemical constituents and effect of combined ethanolic leaf extract of Costus afer and Cleome rutidosperma on lipid profile and some haematological parameters in Wister rats. International Journal of Current Microbiology and Applied Sciences 2014; 3(5): 673-679. Patil RC, Wavhal SD, Yadav SS and Deshpande VD: Antibacterial and bioenhancing activity of ethyl acetate extract of Cleome rutidosperma. Journal of Pharmacy Research 2012; 5(1): 557-559. Archi FF, Islam S, Ahsan M, Babu HK, Ullah A, Azam S, Chowdhury A, Rahman M, Karim MS and Goswami S: Potential evaluation of central nervous system anti-depressant activity of Cleome rutidospermain Biomedical Research and Therapy 2016; 3: 50. Prabha SB, Rao M and Ramesh Kumar MR: Evaluation of in-vitro antioxidant, antibacterial and anticancer activities of leaf extracts of Cleome rutidosperma. Research Journal of Pharmacy and Technology 2017; 10(8): 2492-2496. Bose A, Khuntia A, Ray SD and Barik CS: Acute and sub-acute toxicity of aerial parts of Cleome rutidosperma. Asian Journal of Pharmaceutical & Biological Research 2012; 2(4): 209-215. Ghosh P, Chatterjee S, Das P, Banerjee A, Karmakar S and Mahapatra S: Natural habitat, phytochemistry and pharmacological properties of a medicinal weed- Cleome rutidosperma DC. (Cleomaceae): A comprehensive review. Int J Pharm Sci & Res 2019; 10(4): 1605-12. doi: 10.13040/IJPSR.0975-8232.10(4).1605-12.